Halloween is my most favourite day of the year. Any SL cutie can tell you, that even though we can live out our fantasies in SL, Halloween still allows us to be as cute and freaky as we want. Unfortunately this year I’m unable to participate in the Halloween festivities in either SL or RL. Never fear, I’m not really missing, even though this absolutely adorable gift from Intrigue Co. might say otherwise. Happy Halloween everybody! 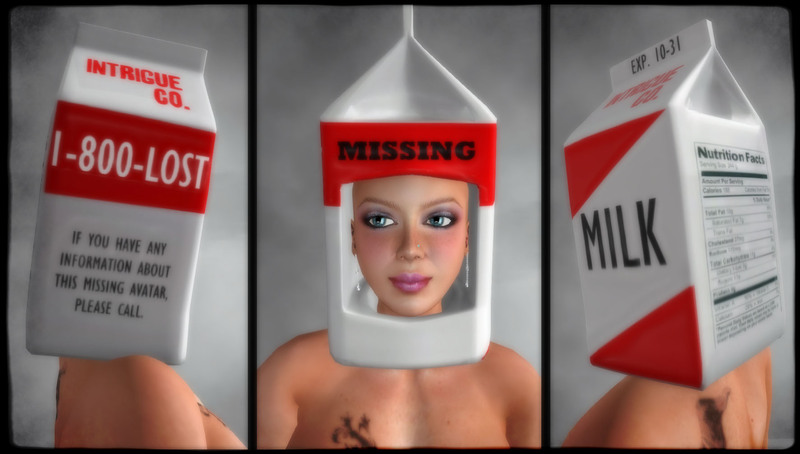 Every fancy girl who insists on Living the Cute Life in Second Life must have an amazing collection of make-up. All shades, colours, styles and flavours are required to ensure you can create just the cute look you want. Fortunately for me, I have a vast selection of make-up that I use whenever possible. Doubly fortunate for me, I’ve recently acquired the most amazing set of make-up from Adore & Abhor called Capitol Couture. The Capitol Couture make-up set is available at Cinema, and comes 4 different options to mix and match. The set includes the standard Capital Couture set, with and without freckles, and then a simple mix and match Blush and Lips options. It’s beyond cute and a fantastic addition to your collection for Halloween or any occasion you might want to dress up! Hey cuties, just quick and dirty tip for all of you. SeVered GarDeN has a Halloween Gift out that is to die for. The SeVeredGarDeN shoes are an absolute must have for the season. Decorated with orange skulls, and having orange socks with green ties that end with pumpkins, these shoes are not only high quality and free (for the group), but to die for! Pop on over!